TRENTON - A state appeals court has ruled that a township in Mercer County may exercise its eminent domain powers to take possession of a mobile home park in furtherance of its court-approved affordable housing plan. The Appellate Division rejected the argument by property owner Lakeshore Management Inc. that Robbinsville Township’s use of the property wouldn’t result in a net increase in affordable housing units, the New Jersey Law Journal reported Monday. “Robbinsville is committed to providing fair and decent affordable housing to its residents,” Mayor Dave Fried said. “To reiterate and make it perfectly clear, no one with valid leases are being evicted. Our goal was to take over the park, fulfill our lawful affordable housing obligations and improve the lives of the residents there with infrastructure upgrades and other needed repairs. The Township is extremely gratified with the decision affirming the Trial Court’s ruling that Robbinsville fulfilled its good faith obligation to negotiate, and that the taking of a Mobile Home Park in order to guarantee the availability for affordable housing satisfies the public purpose requirement. We are proud to be recognized as one of the leaders in affordable, barrier-free housing in New Jersey." The eminent domain case, Robbinsville v. Mercer Mobile Home Park, flows from earlier litigation before a special master in which the township sought to establish compliance with low- and moderate-income housing requirements set forth in the Mount Laurel line of cases. Mercer County Assignment Judge Mary C. Jacobson has presided over the affordable housing matter and the eminent domain proceedings that would follow. 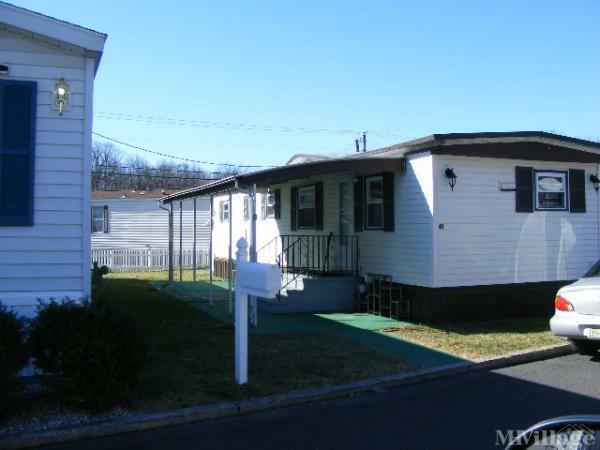 Attorneys for the Defendants argued the units within the mobile home park are inherently affordable, therefore allowing the Township to continue with the Declaration of Taking would not add to its affordable housing inventory. Additionally, those same attorneys argues the Township did not engage in bona fide negotiations prior to commencing the lawsuit in the spring of 2018. Both the trial court and the appellate division rejected those arguments. "Mercer (Lakeshore) has not demonstrated the taking of MMHP is in bad faith, or that the Township abused its eminent domain authority or acted arbitrarily or capriciously. We "will not upset a municipality's decision to use its eminent domain power 'in the absence of an affirmative showing of fraud, bad faith or manifest abuse." On November 2, 2018, Judge Jacobson issued a final judgement of compliance and repose of affordable housing litigation between Robbinsville Township and Fair Share Housing Center (FSHC). Included in the Robbinsville plan for 638 moderate and low income units is the planned acquisition of the Mercer Mobile Home Park, along with the newest Project Freedom complex proposed on approximately eight acres within Town Center South.